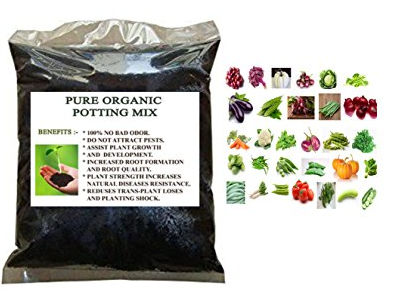 Pot Mixture is used for sowing of seeds, Planting of seedlings, cuttings and grafts. It is important to ensure that plants receive enough of nutrition to build their immunity for the future. Especially for the germination of seeds, this healthy Pot Mixture rich in Organic matter acts in facilitating healthy saplings. It allows good drainage and holds sufficient moisture for plant growth and permits excess water to drain away. Enriched Pot mixture supplies adequate nutrient to the plants during all stages of growth.